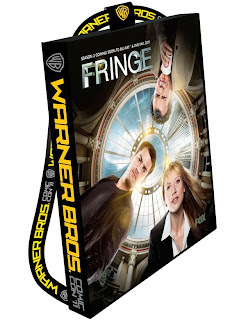 Comic-Con Exclusive First Look:Fringe Swag Bag Has an Alt-Universe Twist! Comic-Con Exclusive First Look: Fringe Swag Bag Has an Alt-Universe Twist! In any universe this would be considered pretty cool. 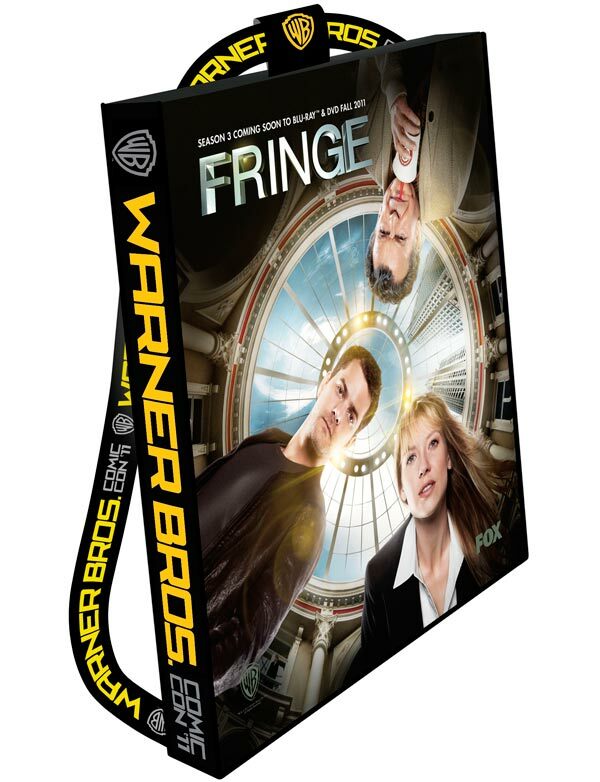 Here’s your first look at the official Fringe-themed swag bag Warner Bros. will be distributing upon check-in at Comic-Con 2011 — one of 10 collectable carryalls the studio is producing for the five-day geekapalooza. And this is the year the traditional 200-gallon tote goes high-tech: For the first time, the bags convert into backpacks! And don’t panic, the poster tube remains in tact. And as a special treat for Fringe addicts, an insider reveals exclusively to TVLine that an extremely limited number of Fringe bags will be alt-universe-themed! Get your hands on one of those bad boys and you’ll be the most popular geek (on eBay) at Con next week. Speaking of Warner Bros., the studio has opted to follow the official Comic-Con ticket distribution system for autograph signings. Click here for more details.